Zoe Mozert was born Alice Adelaide Moser on April 27, 1907 in Colorado Springs, Colorado. Her father was Fred William Moser, a mechanical engineer of German ancestry. The family name had orignally been Motzar, but that was changed to Moser when her grandfather emigrated to America. Her mother was Jessie Mable Hatfield of Ohio. Her parents married in 1906 and she was their first child. By 1910 the father was hired to work as a skilled pattern-maker at a metal foundry in Beaver Dam City, Wisconsin, where the family lived at 105 Walnut Street. By 1914 the family had moved to Newark, Ohio, where the father was able to found the Moser Pattern & Foundry Co. The family lived at 108 Linden Avenue, where sister Helen was born in 1915 and brother Bruce was born in 1916. Bruce grew up to be a renowned innovator of underwater photography techniques. In 1916 her father's company merged with the Newark Stamping & Foundry Co., which made hose clamps for the growing automotive industry, and he became the Vice President. In 1917 the family moved to 213 Hoover Road in Newark, Ohio. In 1921 the family moved to Roaring Brook Township , which is five miles Southeast of Scranton, PA, where her father had been appointed Superintendent of Scranton Stove Works after having invented and patented a new design for a cast-iron stove vent. During her teenage years, with growing prosperity, her family could afford to send her to a prestigious private girl's boarding school in Waynesboro, Virginia, called Fairfax Hall. By 1924 she had completed high school and returned to live with her family near Scranton, PA. She began to study art lessons at the LaFrance Art School, which was a trade school established by a benevolent industrialist, Bernard Davis, who ran the LaFrance Tapestry Mill Company. Another young art student who also attended classes at the same time was John W. Scott. He went on to become a pulp artist and a slick illustrator. From 1925 to 1928 she studied at the Philadelphia Museum School of Industrial Art, where she took advanced classes with Thorton Oakley in 1927 and 1928. The future pulp artist, H. J. Ward, was also a student in that same class. She paid for her tuition by modeling at the school. She most likely also posed for H. J. Ward, several of whose paintings from this time period portray a woman with strikingly similar features. She began her career as an artist in 1927, while working for the Pittsburgh Plate Glass Company. She soon began her own window display business. 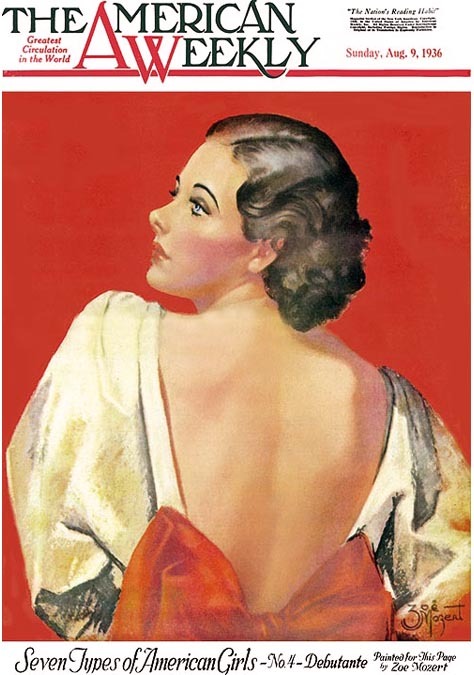 In 1932 she moved to New York City to look for entry-level freelance work in the magazine industry. Her first illustration jobs were for Bernarr Macfadden's True Story. At this time she adopted a professional name, "Zoe Mozert." According to the artist, "I looked through a name dictionary for a new first name and when there were finally no pages left I settled on Zoe." In 1933 she won a scholarship in a talent contest to study at the Art Students League. 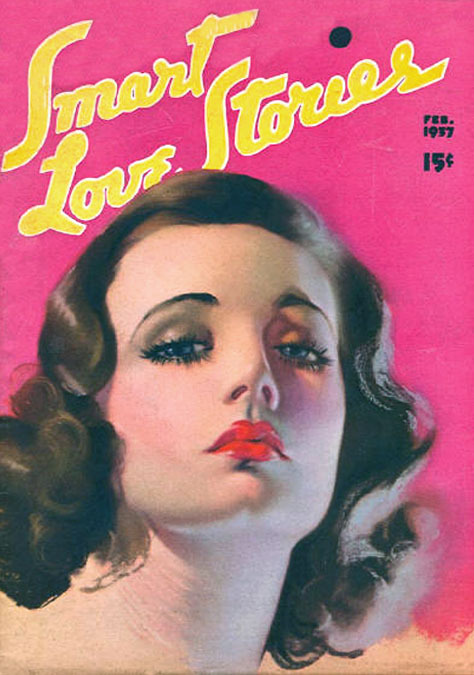 From 1934 to 1937 she created many sensual and glamourous covers for pulp magazines, such as Smart Love Stories, Love Revels, and Night Life Tales. 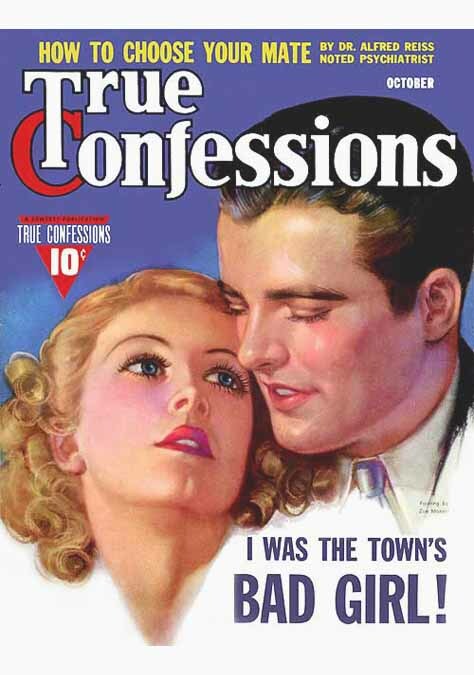 Fawcett Publications hired her to work full time as a staff artist on True Confessions, but at the same time she also worked in her free time as a freelance artist. 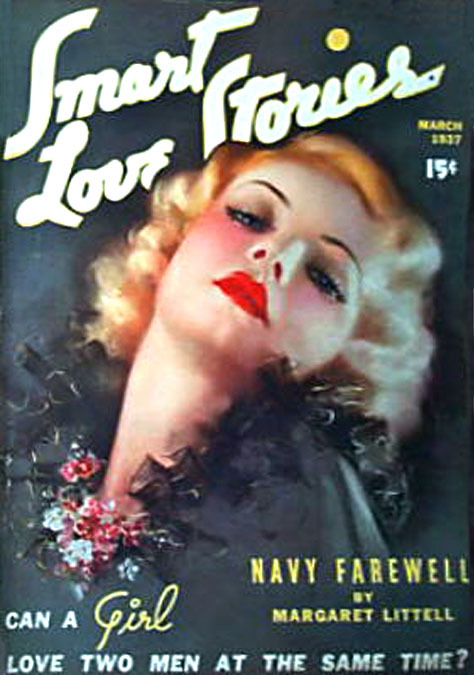 In this way her work appeared in a wide range of glamour magazines, such as American Weekly, Romantic Movie Stories, Romantic Stories, and Screen Stories. She was soon a prosperous and busy illustrator, who had grown beyond the low-paying pulp magazine industry. On Janury 9th 1937 she rented a nicer apartment at 29 West 12th Street in the fashionably artistic Greenwich Village section of Manhattan. 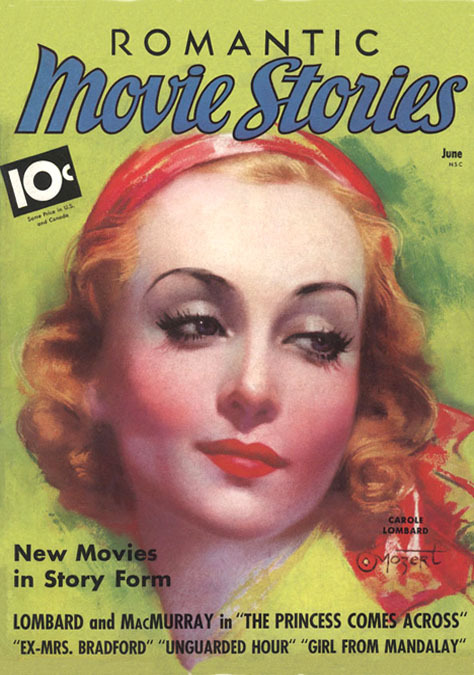 By 1937 her unique style of illustration was so central to the ideal of Hollywood glamour that she was hired by Paramount Pictures to create the movie poster for the film, True Confession, starring Carole Lombard. She also illustrated advertisements for such products as Dr. Pepper, Kool Cigarettes, Irresistible Beauty Aids, Mentolatum, and Raleigh Cigarettes. 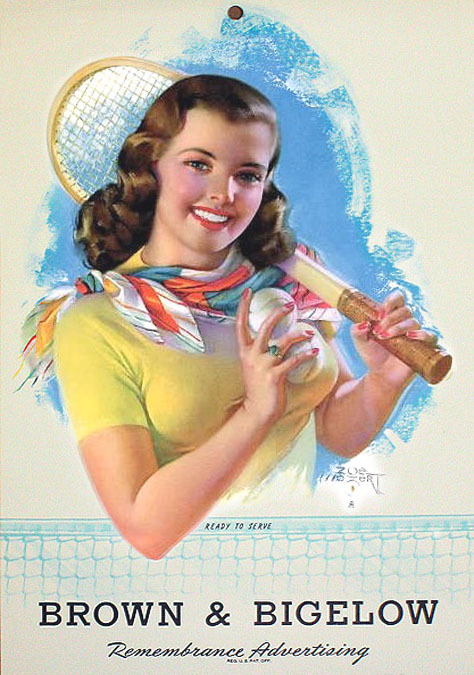 Many of these advertisements featured her distinctive pastel portraits of famous movie stars as product endorsements. On February 19, 1940 she sailed on the Steam Ship Argentine to Buenos Aires. Her passport identified her legal name as Alice Adelaide Moser. From 1941 she signed an exclusive fifteen-year contract as a top Pin-Up calendar artist for Brown & Bigelow. 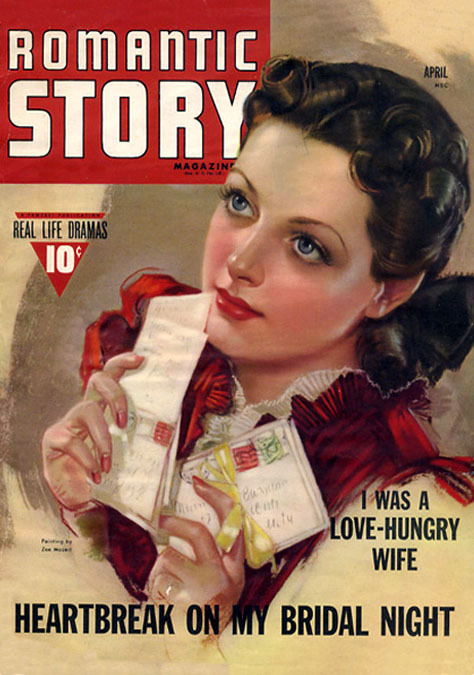 In 1945 she moved to California and she legally changed her name to Mozert. Her parents, her brother, and her sister also had their family name legally changed to Mozert. She also worked as an art adviser and painter with Warner Brothers in Hollywood. 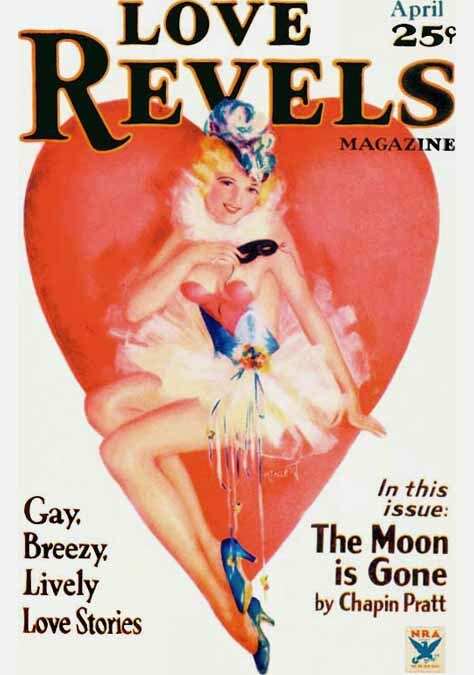 She created many artworks that were used as props within films, such as Never Say Goodbye starring Errol Flynn, and Calendar Girl starring Patricia O'Neil. She also painted the controversial movie poster of Jane Russell for the classic Howard Hughes film, The Outlaw. In 1978 she retired to Sedona, Arizona, where she lived outside of town on Schnebly Hill Road, She continued to create pastel drawings and portaits, which were sold in fine art galleries. Her father lived to be ninety-two and her mother lived to be one-hundred-and three. Zoe Mozert finally moved to a county facility in Flagstaff, AZ, where she died at the age of eighty-five on February 1, 1993.